This week’s Facebook Photo of the Week has a twist; instead of featuring just one soap, it features an entire display of soaps! It’s bound to give you some extra soapy inspiration for the holiday weekend. 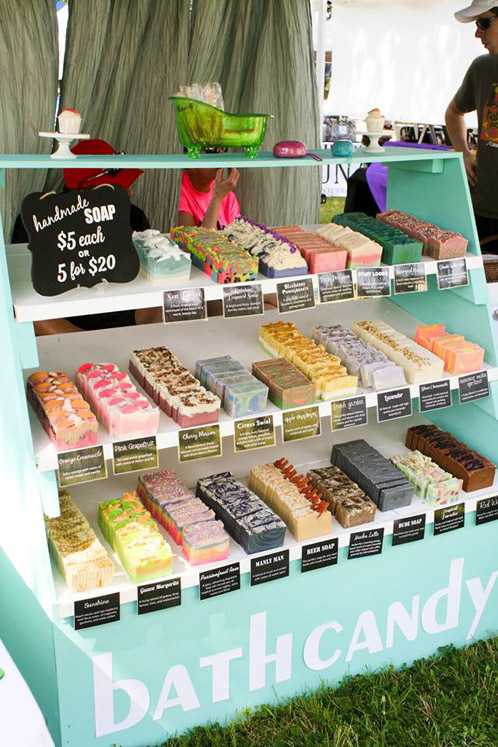 This adorable soap display is from Emily at Bath Candy. The bright aqua color and organized rack is quite eye catching and makes her soap line really pop. 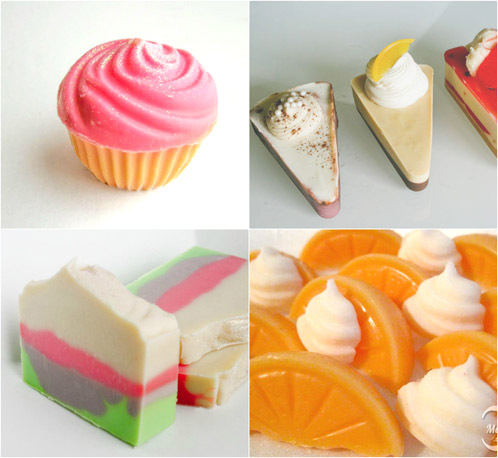 Thank you for being a part of our soapmaking community on Bramble Berry’s Facebook Page. Keep an eye out for a special package headed your way! I meant *you really do put a lot of love into your soaps! * Keep up the amazing soaping, I hope to see more of your pictures on bramble berry’s facebook page! I have followed your blog for a while and have fallen in love with the unique designs, and patterns that you put into your soaps! I love the company name! 🙂 I love the soap stand in the picture, and all the colorful Bath candy on the racks! 😉 You put really do put a lot of ‘love’ into your soaps and what you do! What a great pic and awesome display. Love it, thanks for choosing this one! How can you buy/order these?? Oh my gosh! This is so cool! Thanks so much for featuring my display! Bramble Berry is an incredible company and y’all have really given me the ability to make my business what it is today. Thanks so much! all of it looks so yummy! beautiful display! makes me want to buy!! Especially on payday!! Love the concept!